I was 24 years when my face broke out really bad and the dermatologist gave me Zorac to apply on my skin as well as some oral antibiotics. It took at least 3 months to clear up and now almost 2 years later I have a few scars that might never go away but I have just recently started breaking out a little. I'm using a product that has vitamin A in it and it's called Dr. Aspect-Exfol A plus alpha serum. It helps but then makes me break out again. Could it be the vitamin A that's doing that? I really don't want to break out again. Let me just say for our website viewers that Zorac is a prescription topical retinoid which is a class of chemical compounds that are related chemically to vitamin A. Retinoids are used in medicine, primarily due to the way they regulate epithelial cell growth. The active ingredient in Dr. Aspect-Exfol A is alpha hydroxy acid. Based on all that your skin has been through, I have a few recommendations for you. First, keep it simple! Really. Sticking to natural ingredients that will restore the balance to your skin's function as well as provide health building factors that will benefit your skin now and in the long run. What I would highly recommend is to wash only with a hypo-allergenic and gentle body wash which contains absolutely no chemicals or ingredients that can be toxic to the skin. Our FACE & BODY WASH will provide this type of purity and will help bring your skin in balance. Then, apply our FACE & NECK THERACREAM which is a deep penetrating cream which will penetrate the 7 layers of skin and promote optimal functioning of the skin processes helping to restore normal skin function which results in clearer, acne free skin. Pimples - Rash - Retino - Hydrocortisone Cream? I had tiny pimples on my forehead and corner of my lips. I used Retino 0.05%. Then I started having red rashes with a stinging sensation and it looks really ugly. I went to my dermatologist and she prescribed 0.5% hydrocortisone cream to apply twice a day for just 7 days but it seems like it had loads of side effects. Should I continue to use it or what should I do? Comments for Pimples - Rash - Retino - Hydrocortisone Cream? Response To Pimples - Rash - Retino - Hydrocortisone Cream? For our website viewers I will explain that Retino-A (Retin-A) cream is a medication that works by forcing the rapid shedding of older skin cells for replacement by newer skin cells making skin appear clearer. However, you should know that there are side effects from using Retino-A (Retin-A) that can occur which your dermatologist should have warned you of. These include: warmth of the skin, blistering, swelling, lightening, darkening of the skin, red skin with stinging and sometimes red rashes, and an increase in acne. Your prescribing doctor should also have informed you of special precautions you should follow such as: if you have a history skin conditions (eczema), use serious caution when applying Retino-A (Retin-A), avoid unnecessary or prolonged exposure to sunlight and wear sunglasses, protective clothing, and apply sunscreen. Retino-A (Retin-A) may make your skin sensitive to sunlight, and do not use Retino-A (Retin-A) on sunburnt skin. As far as using hydrocortisone cream, I highly recommend you NOT use this as it can produce harmful side effects both externally as well as internally. These side effects include: thinning of the skin, easy bruising, permanent dilation of certain blood vessels, burn marks on skin, liver and kidney damage and a weakened immune system. For your acne/pimples and the red rashes you have now developed, I highly recommend that you wash only with a hypo-allergenic and gentle body wash which contains absolutely no chemicals or ingredients that can be toxic to the skin. Our FACE & BODY WASH will provide this type of purity and will help bring your skin in balance. Then apply our FACE & NECK THERACREAM which is a deep penetrating cream which will penetrate the 7 layers of skin and promote optimal functioning of the skin processes helping to restore your skin while stopping any itching and providing an anti bacterial protection as well. Please keep me posted on your progress Natsy. Hello, I came to your site because my face always flushed easily and was persistently red, rough and dull. The texture was like light sand paper. I think I had rosacea accompanied by a few pimples. The texture and dryness of my skin was driving me crazy! Your Face & Body Wash and Face & Neck TheraCream had corrected my problem and now my skin is so soft and smooth and I can't say enough about it! Thank you so much. I ordered a tub of your Face & Neck Theracream after having a terrible case of contact dermatitis on my cheeks, I think from a makeup concealer. I have sensitive skin and am prone to some acne as well. When I do get acne breakouts (jaw & cheeks) they get very inflamed and leave marks that last, the marks are much worse than the breakout itself. The rash was so bumpy and red, almost like little patches of tiny blisters. I got my order and started using it yesterday (the rash occurred 6 days ago), and within a few hours it looked more smooth and less red, yay! So far, the only thing that has made a noticeable improvement in the healing has been the theracream. I also used it for my kids and their very dry hands, overnight it made a huge difference. Thank you for your help. If this continues to work well, I will reorder and use the face cream as an ongoing moisturizer. Best Always! My daughter is 16 and I have been taking her to a dermatologist for 2 yrs now and I am concerned that nothing seems to help her acne. She mainly gets large painful pustules right below her buttocks and between her legs on her upper thighs. She has been on 2 types of antibiotics and different creams for 2 yrs. Now they have decreased some but she still gets them and I worry about infections and the scarring that is now developed in those areas. She has very dry skin, she uses Cetaphil soap. You mentioned that your daughter has been to a dermatologist for 2 years now and has been on different creams. I assuming these creams, (at least some of them) were steroid creams such as hydrocortisone and such. You should know that these toxic steroid creams product dangerous side effects such as thinning and discoloration of the skin, easy bruising, permanent dilation of certain blood vessels, burn marks on skin, liver and kidney damage and a weakened immune system. Not only this, but steroid use almost always produces a "rebound effect" of the very symptoms you are trying to get rid of! Further, over the counter products such as Cetaphil, Aquaphor and Eucerin contain either mineral oil or petroleum by products. Any products that contain mineral oil or other petroleum based ingredients should be greatly avoided as they can actually increase the skin's dryness levels. These ingredients have NO usefulness to the skin nutritionally and in fact, the molecules are too large to even pass the pores of the skin so the cream just sits on top and literally suffocates these pores thereby causing further dryness and damage. I have two very natural and deep penetrating products that I highly recommend for your daughter and she should use them daily. First, what she washes with is so very important and I can't emphasize this enough. Many products on the market today are loaded with harsh, drying ingredients that strip the natural PH of your skin leaving it further vulnerable. Have her use our gentle and pure FACE & BODY WASH that will deeply cleanse and balance out her skin even before she applies our cream. This is an important feature since your cleanser should leave you with a plus moisture level and not a minus moisture level! Next, I strongly recommend our MY DAUGHTER'S HAND & BODY THERACREAM which she should apply twice daily until her skin condition is resolved. This cream will penetrate the 7 layers of skin and help unpack damaged cells, add much needed moisture and restore balance. It will further add a layer of anti bacterial and anti fungal protection as it repairs. Please keep me posted on your daughter Donna. I have blackheads and can't seem to get rid of them. It's only on my forehead and that's the only place I have acne and blackheads. What do I do? 1) Overactive oil glands or an over surge of hormones resulting in hormonal imbalance that encourage dead cell and oil build up. 3) Activity and rapid growth of destructive skin bacteria. 4) Inflammation and irritation from foreign substances. 5) Internal illness or disease with toxins trying to exit your body. Blackheads occur when the trapped sebum and bacteria partially open to the surface and turn black due to melanin, the skin's pigment while pimples form several days later when white blood cells make their way to the surface of the skin - referred to as a "zit". Sticking to natural ingredients that will restore the balance to your skin's function as well as provide health building factors that will benefit your skin now and in the long run. What I would highly recommend is to wash only with a hypo-allergenic and gentle body wash which contains absolutely no chemicals or ingredients that can be toxic to the skin. Our FACE & BODY WASH will provide this type of purity and will help bring your skin in balance. Then, apply our FACE & NECK THERACREAM which is a deep penetrating cream which will penetrate the 7 layers of skin and promote optimal functioning of the skin processes helping to restore normal skin function which results in clearer, blackhead and acne free skin. Please keep me posted on your progress Rahel! My son is almost 5 weeks old and has had baby acne on his cheeks for the last week and a half. What treatment(s) do you suggest? Comments for Treatment For Baby Acne? Response To: Treatment For Baby Acne? From your description, it sounds like he has neonatal or baby acne. Baby acne is very common and although it can be present at birth, more often it shows up after a couple of weeks, usually on the cheeks and sometimes on the forehead, chin, and even the back. Researchers are not quite sure exactly what causes this but it is generally believed that it is likely triggered by maternal hormones before he was born. However, researchers continue to study other factors. Know that if you take certain medications while nursing, for example, or if your baby takes certain medications, they might trigger baby acne. Generally, baby acne can become more pronounced when your baby is hot or fussy or if his skin is irritated by saliva, spit-up milk, or fabric that's a little rough or that's been washed in strong detergent. Keep in mind that if the irritation looks more rashy or scaly than pimply or it appears elsewhere on his body, your baby may have another condition, such as cradle cap or eczema. Here is what I highly recommend to bring your baby's skin back into a balanced state. The two products that we have formulated that will work best for your son's condition are: our FACE & BODY WASH and our FACE & NECK THERACREAM. Use these twice per day (a little goes a long way!) and as his condition clears you can continue with once per day. At first, you can even add a bit of sterile water to his first few applications to thin the cream somewhat and gradually add less water until you are applying full strength. 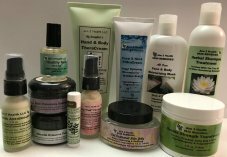 These products are hypo-allergenic, gentle and have anti inflammatory, anti bacterial and anti itch properties which is important while the skin is repairing. Please feel free to contact me with any other questions you may have Danielle and keep me posted on your son's progress. I have suffered from acne for about 10 years now. I am a 26 year old female with extremely oily skin. I live in sunny and humid South Florida. The weather seems to help aid in my skin producing and retaining all its oil. My trips to the dermatologist would include a quick look at my face, a prescription for some topical ointment, and then an injection with some sort of steroid for any large bumps. I recently visited a new dermatologist and they advised the only way I could get rid of my acne was to go on acutane. I refuse to believe that. My research has lead me to your page. Do you have any advice as to what I should use on my face for acne? Right now I wash with Boscia, an all natural cleanser with no preservatives and moisturize with La Roche Posay Hydraphase Facial Moisturizer, but that doesn’t keep new pimple(s) from appearing EVERY morning. I should also mention the pimples usually form on my cheeks and chin. They’re a mixture of blackheads, nodules, and lesions (in order of occurrence). I’m tired of trying prescription creams, and don’t want to be on antibiotics or birth control my entire life to clear my skin. Help please. So many people, like yourself, are just fed up with prescription steroid creams and injections that never resolve the acne problem. I am very relieved that you decided NOT to go on Accutane!! For our website viewers I will say that Accutane causes serious permanent side effects!! These include: causes growth plates to fuse (that's right, it stops bone growth in prepubescent and adolescents! ), causes permanent vision problems, causes hair to fall out causing baldness long after you've stopped taking it, can cause serious cases of arthritis long after you stop using Accutane, causes permanent liver damage and Accutane can cause serious birth defects long after you've stopped taking it. All of these side effects are admitted by the manufacture. They know Accutane is dangerous!!! The best way to handle acne is by natural, health building means! My simple, two step program is 1) cleanse and 2) moisturize. Even with oily skin, the twofold basic need of any skin type is to unpack old, caked in cells and to draw in enough moisture for healthy skin layers. First, cleanse: this is very important so that excess oil, trapped dead cells and debris can be removed. I recommend using our FACE & BODY WASH which is plant based and will cleanse the skin 7 layers deep to unpack sticky, damaged cells while supplying vital nutrients. Second, moisturize: you must couple your acne care with a hypo-allergenic cream that will further unpack accumulated cells and oil and restore and repair your 7 layers of skin. I recommend our FACE & NECK THERACREAM which has anti-bacterial qualities to inhibit germ growth and damage. As I am a firm believer is holistic care, you may want to consider cleansing your bowels of accumulated waste and toxins with our INTESTINAL BOWEL CLEANSER. This will help your entire body as well as strengthen your immune system. Please keep me posted on your progress and I'm here if you should have any further questions. I started using this facial wash called Clean and Clear Advantage 3-in-1 Foaming Acne Wash. And I only used it for 2 days and I got an allergic reaction to it all over my chin and on the top of my lip. But you can see it more on my chin then my lip. So I wanted to know what is the best way to get rid of it in 1-3 days? And I wanted to know would Hydrocortisone 1% Cream help it any to go away. I've been using Clean and Clear products since the summer it is now December I finally realized that this product was breaking me out. First i had attributed to my diet but I finally realized the little white heads and a few large pussey bumps was the result of this product. The facial was, scrub and moisturizer were all factors in my allergic reaction. My skin became very dry itching and dead looking. STAY AWAY FROM THIS PRODUCT! I have been hearing quite a bit of problematic skin resulting from usage of not only these wipes but a number of others. I highly doubt that it is the vitamin e but rather the chemicals, alcohol and fragrances that most wipes contain. Some noted reactions include burning and drying out the delicate facial skin. Some have reported dry patches forming on the face, or eyelids that turn bright red and sting. Keep in mind that although the facial skin is the thinnest skin on the body, the eyelids are even thinner yet! So, unfortunately, your daughter's red bump rash was most likely a response to the types of ingredients I mentioned. Look for natural ingredients without chemicals, alcohol or fragrances and avoid irritating the skin. In searching the internet you might very well be able to locate some all natural wipes. My daughter broke out in tiny red bump rash all over her face after using Kirkland Brand facial wipes. What ingredient could have caused the reaction? Could it be the vitamin E? She has used other facial wipes without incident. I woke up this morning and my face (especially around the eyes and cheeks) had drastically become swollen which is a HORRIBLE consequence of trying to get nice skin. Thanks for the advice and I advise people to stay away from Clean and Clear products. Response To: Clean & Clear - Advantage Spot Control Kit Messed Up My Skin! I can't tell you how many people are having similar reactions as yours to the Clean & Clear - Advantage Spot Control Kit. This product has a number of harsh and toxic ingredients and this in turn, has a trauma like effect on the skin. The facial skin is the thinnest skin on the body and must be treated with great care and with naturally gentle and pure products! This is what I strongly recommend you do. First, wash only with our FACE & BODY WASH which is a hypo-allergenic and gentle wash which contains absolutely no chemicals or ingredients that can be toxic to the skin and will help bring your skin in balance. Then apply our FACE & NECK THERACREAM twice daily, which is a deep penetrating cream which will penetrate the 7 layers of skin and promote optimal functioning of the skin processes. It will reduce inflammation and redness and stop any itching you may have while repairing the skin. All of our products are all natural and work with the body to repair and restore and just as the body responds to wholesome foods, the skin will most certainly respond to health building ingredients. Please keep me posted on your progress Ellie. Clean & Clear - Advantage Spot Control Kit Messed Up My Skin! Please help me. The Clean and Clear Spot Control Kit totally messed up my skin! It made my face swell and go extremely red. It makes my skin feel very tight and uncomfortable. This occurred after the 1-3 wash. Please help!! Hello. I just wanted to alert some people to a problem I encountered with Clean and Clear Facewash. About two years ago, I decided to start using a face wash in order to make my skin smoother, however I had never previously had any problem with spots. Soon after I developed a permanent spot problem. However, I never equated this with using Clean and Clear Facewash, as I was a student in second year at the time and thought it to be purely the cause of a bad student diet. I tried everything under the sun in order to clear up my skin, until recently I decided to try stopping using the C & C face wash. Now, my skin has shown a vast improvement. I can only conclude that I have some sort of reaction to Clean and Clear Facewash, and I am relieved that after two years I have finally come to this conclusion. I hope this might help anyone else who is undergoing a similar experience. Response To Allergic Reaction To Clearasil Wipes! Certainly, there are numerous reported cases where usage of certain facial wipes, cleansers, creams etc., produce an allergic reaction and most times it is the body reacting to the chemicals in the product. My first recommendation for you is to of course, stop using the Clearasil Wipes, which I am sure you have already done. Next, there are three fast working, reparative products I highly recommend you use to relieve the inflammation and itchy bumps that you now have on your neck, face, back and chest. First, wash only with a hypo-allergenic and gentle wash which contains absolutely no chemicals or ingredients that can be toxic to the skin. Our FACE & BODY WASH will provide this type of purity and will help bring your skin in balance. Then apply our FACE & NECK THERACREAM to the facial and neck areas, and our MY DAUGHTER'S HAND & BODY THERACREAM to the chest and back areas. These products are deep penetrating creams which will penetrate the 7 layers of skin and promote optimal functioning of the skin processes helping to repair and restore from the bottom up. This cream also provides a protective barrier as it is anti-fungal and anti-microbial. HELP! Reaction To Clearasil Wipes! I have a similar reaction to what looks like a allergic reaction to Clearasil Wipes, I was just wondering if you have heard of it also affecting your chest/upper back area also, and what I should do! Many of the commercial products on the market today can very well cause an allergic reaction to the skin. I looked up the product you mentioned and I have to tell you there are certainly a number of ingredients that are toxic to the skin and will irritate the skin cells thereby causing bumps, redness and a rash like response. Further, your question about using hydrocortisone cream makes me think of the saying, "out of the frying pan and into the fire". You see, steroid creams can produce side effects that include: thinning of the skin, easy bruising, permanent dilation of certain blood vessels, burn marks on skin, liver and kidney damage and a weakened immune system. 2) Then apply our FACE & NECK THERACREAM to your facial area twice daily. This highly enriched cream is deep penetrating and able to penetrate the 7 layers of skin and promote optimal functioning of the skin processes and reduce inflammation helping to restore your skin to a clear and healthy condition. Please keep me posted on your progress Arnetia and all the best to you. My face has never been this bad! I didn't get much acne when I was younger, and now I'm 21 and it is awful... I don't know what it's from. It seemed to come literally over night and now it won't go away! I have tons of little bumps everywhere that I can feel more then I can see... Weird huh??? Why is this? Please help! Comments for Acne And Little Bumps.....Why? Response to: Acne And Little Bumps.....Why? Breakouts can occur at any age and at any time. Unfortunately, it is not always easy to pinpoint "why" this occurs in many cases. What you can do is take measures to ensure a healthy environment not only on the outside/skin but on the inside/body. I will give you my recommendations for both as this will greatly assist your body in maintaining healthy, balanced and properly functioning body systems. Internally I recommend taking in high green nutrition such as what is found in our GREEN POWERHOUSE. It is the most potent and highly nutritive product on the planet. This will help in the cleansing and restoration of the body and skin. Expect great results Rachel and I look forward to hearing about your progress. I'm 14 years old and experiencing a very difficult time with pimples, especially on my forehead. It's leading to very dry skin and I am embarrassed. I really need help and I cant really afford expensive materials to use. Thanks. The teen years can present acne problems as vast hormonal changes are taking place. But don't despair as the body is very responsive to the effects of natural ingredients that will help bring your skin to a more balanced state. I highly recommend that you wash only with a hypo-allergenic and gentle wash which contains absolutely no chemicals or ingredients that can be toxic to the skin. Our FACE & BODY WASH will provide this type of purity and will help bring your skin in balance. Then apply our FACE & NECK THERACREAM which is a deep penetrating cream which will penetrate the 7 layers of skin and promote optimal functioning of the skin processes helping to restore your skin and providing anti bacterial protection as well. Please keep me posted on your progress. Also, please note that we refer all of our International customers to our sister website at: www.aim2health.com where you can order all of the same products as are available on this website. I am a 15 year old boy who is struggling with this problem. I feel like I cannot go anywhere with the looks of my face. It is all over my nose, my cheeks, my eyelids and above my lip. I have been using Lamisil cream for about a year now, but it seems to not solve the problem. At times it does not flare up for awhile, or when it does, it goes away in a couple days. But it's been 2 or 3 weeks and it has been bad every single day. I'm not sure what else to use or do, but your creams seem to be the answer. I would like to know if you have these products in Canada, or if we can order them here. After applying the Lamisil, it leaves my skin oily, which causes it to get worse. Certainly our DMAE, L CARNOSINE, and COLLAGEN TYPE II Supplements will work from the inside out to assist in the proper cellular function and protection of the skin. Also, MY DAUGHTER'S HAND & BODY THERACREAM will work very well for your arm acne. For your severe dandruff, follow the directions we provide on our site using the DOUBLE STRENGTH THERACREAM and our HERBAL SHAMPOO TREATMENT. Again Dun, please take heart and know that the body will repair and restore as you provide it with natural, health building ingredients. Is it okay if I also take and buy the other products like DMAE supplements, L Carnosine Supplements, and Collagen Type II Supplements in my situation? Also can I use My Daughter's Hand and Body TheraCream because I have arm-acne, Double Strength TheraCream and Herbal Shampoo Treatment because I have bad dandruff? That's why I cut my hair short so that I can minimize its presence. Response To: I Have Been Suffering With Seborrheic Dermatitis For 7 Years...!!! I know how very frustrating it can be to suffer from a skin condition and especially one that exists on the face. With Seborrheic Dermatitis, although researchers don't know the exact causes, one popular theory is that it is associated with yeast (malassezia genus) organisms that are common residents of human skin. Since they need lipids to survive, they tend to colonize areas of the skin that are relatively rich with sebum. These fungi, according to some studies, are believed to trigger an immuno-allergic type response in susceptible individuals, while other studies report that the yeast metabolize sebum and generate byproducts that are irritating to the skin. More than likely, your mild acne is a result of the unbalance in your skin with the several conditions you are suffering with. For our website viewers I will explain that Cheilitis is an inflammation related sore at the edges of the mouth area, and manifests as deep cracks or splits, which can bleed in extreme cases when the mouth is opened up. This will often cause shallow ulcers or crusts to form. Anyone can be prone to Cheilitis, but individuals with incorrectly set dentures; people struggling with diabetes mellitus and hypothyroidism; and people who eat unhealthy and do not have sufficient nutritional vitamins and iron in their meal plans are all more prone to this condition. First, what you wash with is so very important and I can't emphasize this enough. Many products on the market today are loaded with harsh, drying ingredients that strip the natural PH of your skin leaving it further vulnerable to the effects of sun, wind and environmental air. Use our anti bacterial FACE & BODY WASH that will deeply cleanse and moisturize your skin even before you apply cream. This is an important feature since your cleanser should leave you with a plus moisture level and not a minus moisture level! Next you will want to apply our FACE & NECK THERACREAM twice daily. This hypo-allergenic cream penetrates all 7 layers of skin to unpack dry, damaged cells and restore much needed moisture from the bottom up to the very skin surface. The dry, flaky, rash like symptoms will dissipate along with the acne as balance begins to be restored. Both of these products are formulated with skin nurturing ingredients that repair, restore and replenish natural moisture levels in the skin. Please keep me posted on your progress Dun. Also, you can go to our sister website at: www.aim2health.com to have your order shipped Internationally. I Have Been Suffering With Seborrheic Dermatitis For 7 Years...!!! I am Dun, 24 yrs. old. I am from the Philippines. I have been suffering seborrheic dermatitis for 7 years and already consulted 9 dermatologists but none of them at least control my SD. I also suffer mild-acne and really bad cheilitis. I don't know what to do, I am a practicing vegetarianism now but still my SD, acne and cheilitis keep on attacking me. It is killing my self-esteem...I also have these tiny white stuff on my both cheeks, chin, around my nose, and my lower forehead. I don't know what they are but it seems they are coming out of the pores, they cause no physical pain but it looks dirty. There are a lot of them and they keep coming back. Do you know what I am talking about?, and can you help me with all of these maladies? Please help me?! I would not recommend using the Lamisil cream when you begin using our products. You see, Lamisil is a drug which forces the skin to respond a certain way which can be harmful and can produce risky side effects. Our products are all natural and filled with health building ingredients that work with your body to repair and restore the skin to a healthy balance and functionality. You asked about using Eucerin before your order arrives. Well, most people are not aware that this over the counter product contains a large amount of mineral oil. Mineral Oil is the by-product of making gasoline from petroleum and since we use so much gasoline, it makes mineral oil very cheap for companies, therefore it makes the perfect (yet toxic!)filler. This is my strong recommendation and I look forward to hearing about your progress! I was just wondering if I should discontinue the Lamisil cream when I receive the two creams. Or is it possible for me to start using Eucerin with 5% urea until the two creams come? I am glad you have contacted me with your question and are seeking our natural remedies to treat your condition. You said you have used Lamisil cream for a year. Let me say for our website viewers that Lamisil cream contains the active drug ingredient terbinafine hydrochloride, which is an antifungal medicine used to treat infections caused by fungi. Using a drug like this for even 2 to 3 weeks would be a lot for your skin to handle much less 1 year. I will give you the products I highly recommend your using and tell you that we do ship to Canada and in fact, to all parts of the globe. First, the discontinuing of anything harmful is very important for the healing process to begin. The 2 products I absolutely recommend are: our FACE & BODY MOISTURIZING WASH and our FACE & NECK THERACREAM, to be used morning and night. You may also apply the face cream anytime during the day as needed for the first few weeks. These products will begin healing and repairing the skin 7 layers deep and over time will bring back the balance and restoration that your skin has been without for so long. Both products have anti-itch, anti-bacterial, anti-fungal and anti-inflammatory properties to help your skin return to a healthy state. Remember, that the skin responds very quickly to natural, health building ingredients just as the body responds to healthy foods! 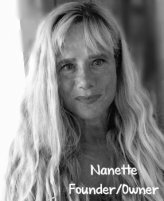 Hi Nanette how are you? My skin is really rough and dry and my make up just sits on the dry areas and looks awful. I use a mineral make up and end up having to put more and more on to cover up the dryness. Will your Face & Body Wash and your Face & Neck TheraCream normalize this condition as well as heal the steroid cream damage I now have? Also, presently I'm using commercial cleansers that don't remove my makeup and the soap I am using still dries out my skin. Can your face wash remove my makeup and also moisturize my skin? Finally, I suffer from a lot of acne could you please tell me what I can take internally to clear my whole entire system. Good day to you and thank you for contacting me with your questions. Many of our customers around the globe have been through years of steroid use with highly damaged skin. With the ingredients in our products and consistency in your daily application, this damage along with the accompanying skin problems can be repaired. We know that as the body responds to healthy eating, so the skin responds to what you apply to it. Healing time varies from person to person, but you can expect to begin seeing significant results within the first week of usage of our FACE & BODY WASH and our FACE & NECK THERACREAM. These are 2 excellent choices for problematic facial skin. They will thoroughly cleanse old, dry cells, make up, and old oil and then moisturize your skin 7 layers deep. Next I would recommend taking in high green nutrition such as what is found in our GREEN POWERHOUSE. It is the most potent and highly nutritive product on the planet in my opinion. This will further help in cleansing and restoration of the body and skin. Expect great results Samerah! I look forward to hearing about them when you start using your products. I have been using Elocon steroid ointment on my face for 4 to 5 years. I did not know that it was a steroid and hence kept using it(it's also prescribed by doctor for some normal infection problem and I got some relief from the problem also). As soon as I discovered that it was a steroid I stopped using it for 2 weeks. Since then my skin has just flared up badly and is rough and red and has several pimples and pustules. So again started using Elocon ointment to keep my skin calm. Now I can't seem to avoid using Elocon ointment. My skin is addicted with steroid! Please give me some good suggestions to get normal skin and a normal immune system. I am in the same boat as the first post...Stopped using my Elocon on Friday and am having a major flare up of redness, raised patches of scaly skin that peels and flakes. So gross and also uncomfortable. My face is burning from the lack of Elocon. I understand that the non usage can cause even more problems and flare ups that the original problem that it was prescribed for. My first intro to the Elocon was back in 1996. I have needed to use it ever since. I have a primary care physician who thinks that I should see her for everything from pap smears to mole removal. I had asked her many times if there is something else I should do besides use that on my face and she said no...as long as it works, stay with it. I visited with a dermatologist on Friday and he said STOP USING ELOCON IMMEDIATELY! He put me on Sulfacetamide Sodium Topical Suspension USP, 10% once a day as well as an antibiotic. He wants me to keep using it for @ 6 weeks in order to get to the root of my problem. I understand that there will be other avenues or approaches to get down to getting my normal skin back. I am thankful that I am on the path to a solution but right now I look so bad. Hate to leave the house and have to explain to people why I look like I have a disease. To others...please do not let Elocon become your crutch. It will turn on you and you will be addicted...well, your skin will be. Obviously the easy quick fix isn't always the best solution. God only gave us one face! Be kind to it. Your situation is very unfortunate but please take heart and understand that the body has a great propensity to restore. You should know and should have been told that use of any steroid and especially Elocon, was meant for a very short duration.....days but no more than weeks and certainly not for years. Blistering and pustules are one of the typical side effects of using/stopping Elocon. With natural products such as ours, the skin will receive health building ingredients that work with your skin and not against it. It may take time for your skin to recover, but believing in the positive response the body makes with wholesome ingredients you can be very encouraged using the FACE & BODY WASH and FACE & NECK THERACREAM. Feel free to contact me with any other questions and please keep me posted on your progress. I have the exact same problem as the first person! I was prescribed Elocon when I was very young for a rash I had on my arm & it seem to work amazingly on other dry skin & problems I had. I never knew my skin would become addicted to it! I'm 18 now & still using Elocon on my face! Every time I stop using it my face becomes very very itchy & my skin breaks out with a large number of pimples! They are everywhere! From under my eyebrows to the top of my lip even on my neck! 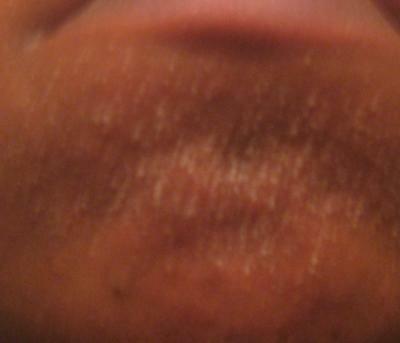 My skin also gets very dry & I feel like cant to anything about it! It is very emotionally hard & I just want my skin to be back to normal!! If I used the products you listed above will they really work? How soon would I see results? & when should I start using them, right after I stop using the Elocon cream? Thanks!! It truly is a shame that patients aren't being told by their physicians about the high risk they are taking when using steroid creams such as Elocon. Not only this, but to be given a prescription for this dangerous steroid cream for 4 years is just irresponsible in my opinion. Substituting with Dermovate cream is STILL using a steroid-based medication. The active ingredient in Dermovate cream is clobetosol propionate and it falls in the steroid medication category. Possible side effects of Dermovate include: skin irritation when applying the cream, development of stretch marks, increased hair growth, thinning of the skin, and changes in your skin color. But please take heart Pinky and know that the body has the propensity to repair given the proper health building ingredients! I would recommend to you what I recommended to Saravanan whose response is just above yours. You will truly be amazed at how quickly the body responds to natural remedies in your quest for problem free skin! I have been using Elocon ointment on my face and neck for 4 yrs....I was unaware of the dangerous side effects and prolonged use damage that it can cause...I am now trying to stop by using Dermovate cream to try to wean myself off...I have been having severe eczema irritation on my skin, I have never experienced this before. I feel really depressed about my skin. I really need help. What you are experiencing with Elocon is the fact that steroid use almost always produces a "rebound effect" of the very symptoms you are trying to get rid of! I will give you my strong recommendations for a natural, topical treatment as well as what to do to restore and build your immune system. First, what you wash with is so very important and I can't emphasize this enough. Many products on the market today are loaded with harsh, drying ingredients that strip the natural PH of your skin leaving it further vulnerable. Use our gentle and pure FACE & BODY WASH that will deeply cleanse and moisturize your skin even before you apply cream and begin the repair process. Next, apply our FACE & NECK THERACREAM twice daily. This hypo-allergenic cream penetrates all 7 layers of skin to unpack dry, damaged cells and restore much needed moisture from the bottom up to the very skin surface. The pustules, along with the rough, red and inflamed skin will dissipate as balance begins to be restored. Both of these products are formulated with skin nurturing ingredients that repair, restore and replenish natural moisture levels in the skin. To restore and build your immune system, take our INTESTINAL BOWEL CLEANSER twice daily, to remove impacted waste matter and toxic build up as well as assist in cleansing the liver and kidneys. This will greatly help by building and strengthening your immune system which has been adversely affected by long term use of steroid creams. Please keep me posted on your progress Saravanan as you begin your new regimen. I suspected that I have used hydrocortisone cream on my face for oiliness and acne. Now I have developed very dry and sensitive skin. I am seeing a doctor now but seems like the progress is slow. Is there a possibility for my skin to return to normal? It is so unfortunate that the medical professionals are not clearly and accurately informing their patients of the many harsh side effects that can result from the medication they prescribe. Be encouraged knowing that the skin and body has a great propensity to repair and restore given the proper health building ingredients. As I recommended to Melissa, I would also recommend to you our FACE & BODY WASH and our FACE & NECK THERACREAM. Both are highly nutritive in replenishing your skin. Please keep me posted on your progress Prasad and all the best to you. My problem ia the same like the others. I am a victim of long usage of elocon cream. My dermatologist had recommended elocon for 1 month as my skin,specially the cheek portion had become dry,scaling and burning. The dryness dissappeared within 7 days and even my skin started glowing like never before. I was very much amazed as my skin was always tanned. I tried to discontinue the cream but again my skin used to start burning and used to discolor. Last year, I read about the side effects and immediately stopped using the cream. Now my skin has turned black , sensitive to sunligh and heat as well. I feel embaressed to face anybody due to my worsened condition of the skin. Since then I have changed 4 dermatologists and still no progress. I am all broken and low on morale. My dermatologist has prescribed atoderm PO zinc for keeping my skin hydrating. But it only hydrates till I keep it applied on my skin. I have seen all the posts and hope that you can really help me to come out of this turmoil. please suggest me a non steroid and natural cream to gain by my skin color, pls. I am counting on you now!!! I have to be honest with you. Your skin can and "wants" to return to normal, but ONLY IF IT IS GIVEN THE PROPER INGREDIENTS to work with! Without knowing what your doctor has you on, hopefully not anymore steroid creams, I wouldn't be able to give you my opinion. However, I can tell you what I do know about steroids versus using only health building, natural ingredients. When using prescribed hydrocortisone cream you run the risk of side effects which includes: thinning of the skin, easy bruising, permanent dilation of certain blood vessels, burn marks on skin, liver and kidney damage and a weakened immune system. My strong recommendation is to use ONLY natural skin care products with organic ingredients for your particular skin treatment that are pure and gentle. Vitamin-derived antioxidants from plant sourced ingredients not only make the best ingredients for your "inside", but for your "outside" as well. When your skin absorbs a natural moisturizer, created with only healthy ingredients, you're absorbing the nutrients in those ingredients. Also look for the words that signify a level of purity such as: Fragrance Free, No Dyes, Hypo-Allergenic. You will see a remarkable difference in the reaction and response of your skin as you use only natural skin care products with health promoting and restorative ingredients. We have two products that I highly recommend to you Melissa and they are: our FACE & BODY WASH and our FACE & NECK THERACREAM. Both are highly nutritive and capable of repairing and restoring your skin. Please keep me posted on your progress Melissa and all the best to you. I had been using all sorts of face products on and off over the past 10 years. I am 27 years old and got a lot of break outs on my chin. I now have scarring from these breakouts. My skin was dry around my cheeks and forehead. I also had rosacea and my face often felt hot and looked red. I had been using a liquid foundation to cover up the redness as well as the acne and this had only worsened my skin over time. Three weeks ago I started using your Face & Body Wash followed by an application of your Face & Neck TheraCream and my skin started clearing up within 3 to 5 days! Now I am writing you to send my many thanks for such fast working products that have literally changed my life.